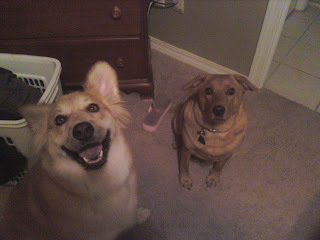 These are our dogs Goldie and Meadow.. This picture got us locked in to the new house we want to rent. The owners were worried about us having 2 dog so I forwarded this picture to them and we were accepted. They just are so lovable.